From the inception of sin into the world through Adam and Eve, man has continually expanded the great spiritual divide by choosing worldliness over and holiness. Yet God—despite all of our faults, —God still loved us—loved us so much that He gave His only begotten Son, Jesus, so that whoever believes in Him, would not perish on account of their sin, but have everlasting life. Despite all of our mistakes, God still cares about us. Despite all of our poor choices, God still would not condemn us to eternal death. And yet even after two thousand years since Christ laid down His life for us, mankind still makes choices, time and time again, that are directly opposite the will of God, to the direction that God has for our lives. God is not man, that he should lie. Have you ever been the subject of someone’s lie; have you ever been cut by someone’s words? How did it feel? What did you think? James 3 tells us the tongue is a small thing but oh what damage it can do, like a tiny spark setting an entire forest on fire. Paul encourages us to not let corrupt words proceed out of our mouth, but to speak only what edifies others and imparts grace to the hearers (Ephesians 4:29). Yet we also know that the same tongue can speak both blessings and curses, the same mouth can build up and tear down. Can you imagine if God were a liar? If all of the promises of the Bible were not true? Can you imagine if there was no mansion waiting on us in heaven? Worse yet, can you imagine if there were no heaven, no life after death at all? Can you imagine if there was no forgiveness and death is just the end of it? Can you image if there some undiscovered tomb in the Middle East where the body of someone called Jesus Christ,s still buried. This would make God a liar, just like one of us. A slave to sin just like one of us. 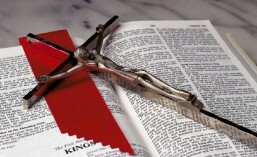 God is not… a son of man, that he should change his mind. We make decisions based on the best possible information we have at hand; if we need to, we will change our mind, change our direction. We make choices that we justify as being necessary, useful, even beneficial for others. Yet we also make decisions that serve self over God, ourselves over others. We change our minds when it suits us, or when it protects or advances our interests. Can you imagine what the world would be like if God had not been true to His promises; if He had abandoned Abraham, Isaac, and Jacob? What reason would we have to have faith in and trust in God. What if Moses and the children of Israel were left out on their own in the face of the Egyptian army with their back to the Red Sea? What if David had failed against the giant Goliath? What if the lion had eaten Daniel? What if sharks had eaten Jonah when he was thrown overboard? What if the woman who had the issue of blood had gone to Jesus and still bled to death? What if Paul had died when the poisonous snake bit him? What if Job had cursed God and died? We would have nothing to base our faith on if God is not trustworthy. If God was one of us, could we put total trust in Him? And what would it be like if God changed His mind about you? Can you imagine? If He was just like one of us, every time you did something that He didn’t approve of, His love and mercy would turn into righteous wrath against your sin. We would no longer be alive and we’d already be burning in hell’s fire. God is not like one of us. The Bible clearly states in our text that God is not like a man. He was not created out of dirt clay and spittle. Before the world was created, God already existed. God is holy and God is Spirit; that means that He cannot be subjected to worldly things. He cannot be convinced to do things that are not holy. He is not a liar, nor can He be misdirected by lies because He already knows the truth. He is not like man. He is not a liar nor does He act in His on self-interest. He is not vengeful or filled with hate. He is not sinful by nature because His nature is perfect holiness. Because He is holy, God does not have to repent. He does not have to turn from evil because there is no evil in Him. He is not the son of man, meaning that He was not born of the seed of a man like you and I are conceived and born. Even when God took on our human form and was incarnate, Jesus the Son of God did not sin, He obeyed the will of the Father perfectly, making Him the only perfect man who ever lived. Jesus is not a son of man, He was not born into sin like you and I. But He is the incarnate Son of God conceived by the Holy Spirit in the Virgin Mary. And ultimately that is the reason that we are thankful that God is not one of us. We required a Savior who is both true God and true Man; a Savior who was holy and without sin to live the perfect life we can not life; a Savior who could not only live perfectly but stand in our place before the justice of God and take the punishment for the sin of the world, for your sin and my sin. We need a Savior who is not like one of us, a Savior who is the Son of God whom death could not hold, who satisfies the Law and breaks the hold of death over us. We put aside the idle speculation and thank God that He is God and not like one of us. You can rest assure that all of His promises will be fulfilled. Sometimes the way gets dark, but God will still shine light upon your path. Sometimes is seems like life is more than we can bear, but God has promised to be our burden-bearer. He’s not a liar. He won’t let you down. He has loved you with an everlasting love, and because of Christ, He will never change His mind about you. 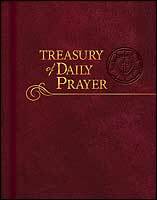 This entry was posted in Devotion, Treasury of Daily Prayer and tagged Numbers 23, Old Tesament, Sermon, Treasury of Daily Prayer. Bookmark the permalink.